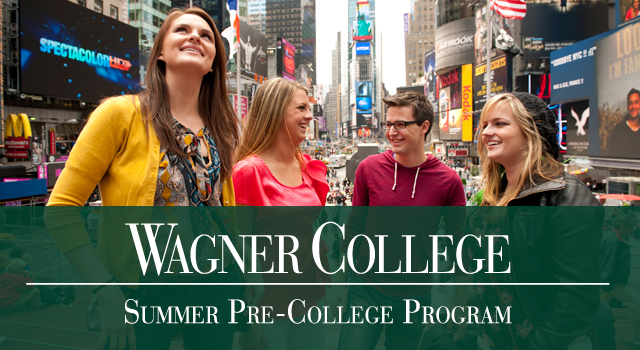 Wagner College’s Summer Pre-College Program provides students with an unforgettable experience in one of the most exciting cities in the world - New York. This Medicine and Science Program track is designed to introduce students to the practice of medicine in our society while providing them with both lecture and hands-on clinical skills and practicing real life medical scenarios. Coupled with this course is a 2nd course that introduces students to a variety of science disciplines and professional careers associated within each discipline. This program track is comprised of the following two courses. Upon successful completion students will receive 2 units equivalent to 6 transfer credits at other similar institutions. Visit some of New York City’s exciting attractions including museums, galleries, Broadway shows, and more! 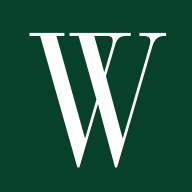 Wagner College is a competitive, four-year private liberal arts college founded in 1883. Our nationally recognized academic program, Wagner Plan incorporates a longstanding commitment to the liberal arts, experiential learning, and interdisciplinary education. The campus is 105 acres of park-like hilltop that overlook the Atlantic Ocean, New York Harbor, and Manhattan. For more than a decade, Wagner College has been ranked by U.S. News & World Report, among the Top 30 Northern Universities and appears on the Forbes 2015 Top Colleges list for a third year in a row. Respectively, the Wagner College Theatre program was ranked #1 in the nation according to the 2016 Princeton Review “Best 380 Colleges” guide. Wagner students represent 40 different states and 19 countries. The most popular undergraduate majors at Wagner are Theatre, Biological Sciences, Business, Psychology, and Sociology. My advice for teens looking at summer programs or camps is don’t be afraid. Don’t be afraid to apply for programs that are out of your comfort zone, or apply to programs where you would need to stay overnight to study. It was the best decision I’ve ever made. It helped me find friends that I stayed in contact after the program ended, college experience that I would like to continue to be a part of, and a career path that I’ve fallen in love with. All of this happened because I stepped out of my comfort zone. I had the best time, and I am forever grateful for what that summer gave me. Want More Information about Pre-Med & Science | Summer Pre-College Program for High School Students at Wagner College? Your request will be sent directly to Wagner College The Dept for Lifelong Learning. By submitting this form I confirm that I am at least 13 years of age and give my consent to be contacted by Wagner College The Dept for Lifelong Learning by email as well as by phone and/or mail (if provided).